There are certain places—show-stopping hotels, Award-winning restaurants or local dive bars, incomparable vintage shops—that are worth planning your whole trip around. The El Nido Cove Resort in El Nido, Philippines is one of those places. The Philippine region of Palawan is an archipelago within an archipelago that is often compared to paradise. 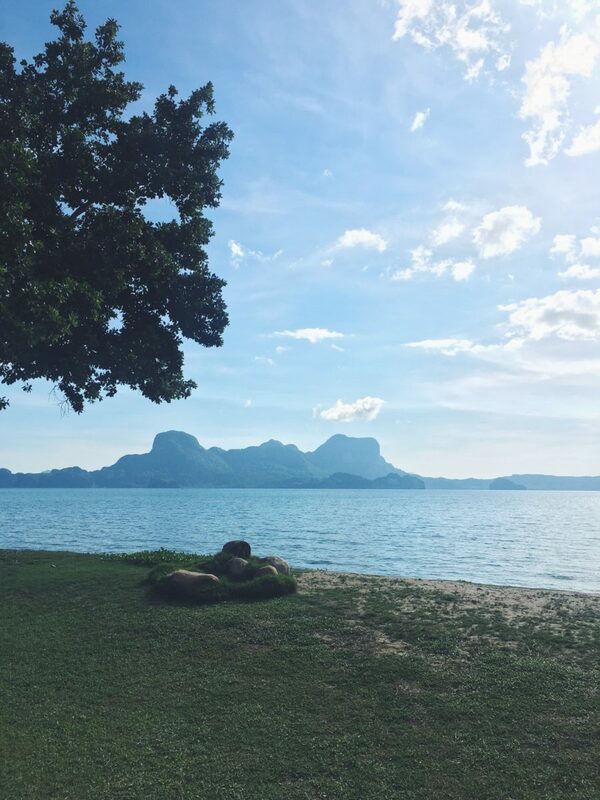 Its crystal waters and powdery sands attract backpackers and billionaires alike, and so accomodations in the areas surrounding El Nido—the town best positioned for exploring Palawan’s beaches—have tended to fall into one of two categories: hostel or private-island-resort. 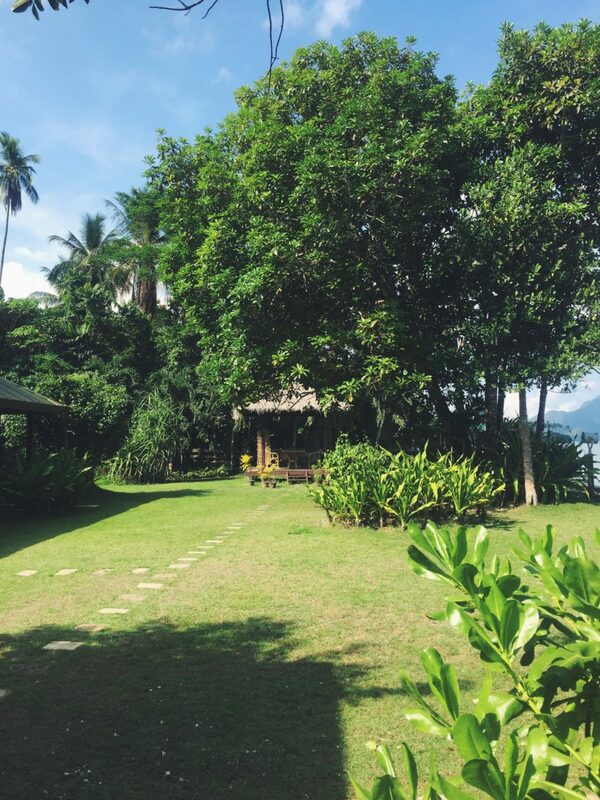 For those looking for something in the middle, Resorts@Lio Beach is a group of eco-hotels offering affordable luxury, of which El Nido Cove resort is the most quiet and secluded. 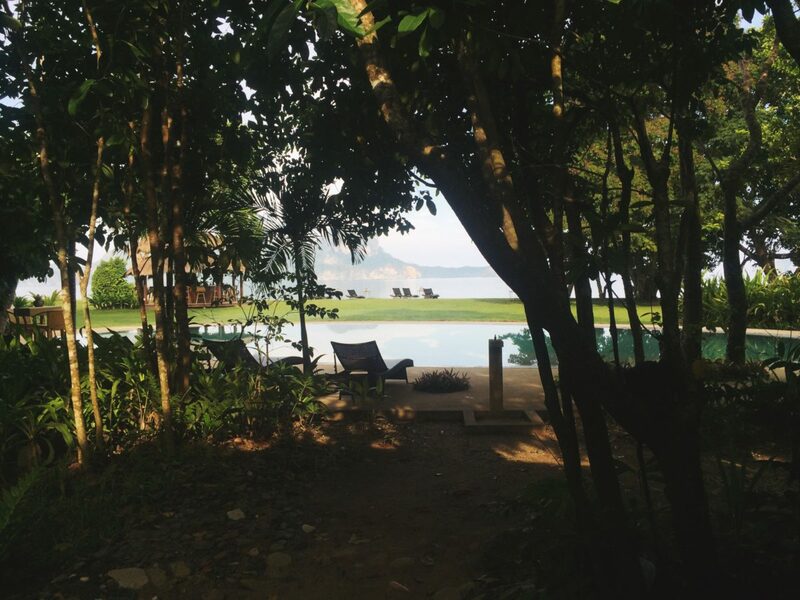 Deck chairs are dotted around the pool and along a grassy expanse that cuts down to a private beach (accessible in the mornings when the tide is out) and looks out onto the water. Simple, but delicious, meals (and plentiful fresh juices) are served on a terraced deck that juts into the sea, and in-room spa-services are available on demand. The hotel might lack some standard amenities—you won’t find a mini-fridge or hairdryer in your room—but the friendly and eager-to-please staff more than make up for it, never forgetting a request and going above and beyond to make your stay relaxing and comfortable. 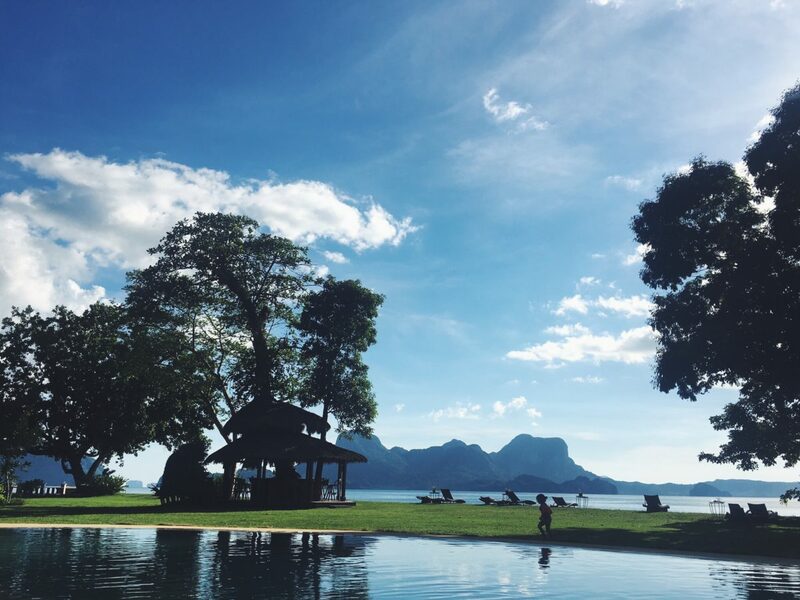 Close enough to El Nido proper to keep the tour operators and nightlife fairly accessible, but far enough from the crowds for a dose of tranquility, the resort provides the perfect location to find the ultimate extravagance in this day and age: true peace of mind. 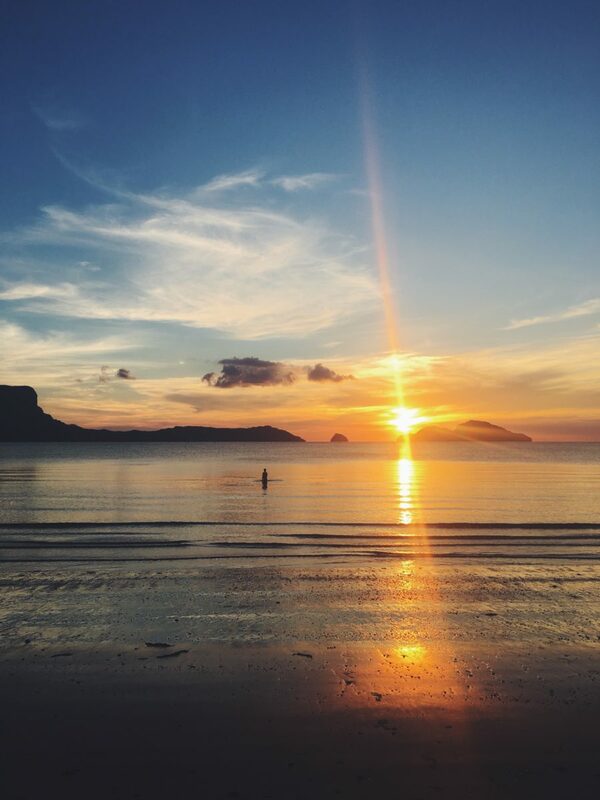 There is no shortage of places around the globe that could make a credible claim for best sunset, but El Nido Cove resort is most definitely a strong contender. The tiny resort is the only visible construction (and at night, light source) along the cove, which makes for a spectacular 360-degree viewing experience. Ahead, you’ll watch the sun sink behind some of the tree-topped karst (limestone) peaks that make the Bacuit Archipelago one of the most beautiful bays in the word. To the left and right, you’ll see the sky light up expanses of water lapping onto forested shores. Enjoy the show from a bay-front deckchair (beer or fruity cocktail in-hand) or wade into the warm, still sea where you can peacefully float under kaleidoscopic clouds. You’re looking to get away and completely switch off—Wi-Fi is only available in the lobby area (and even there, it’s spotty) and little within walking distance from the resort. 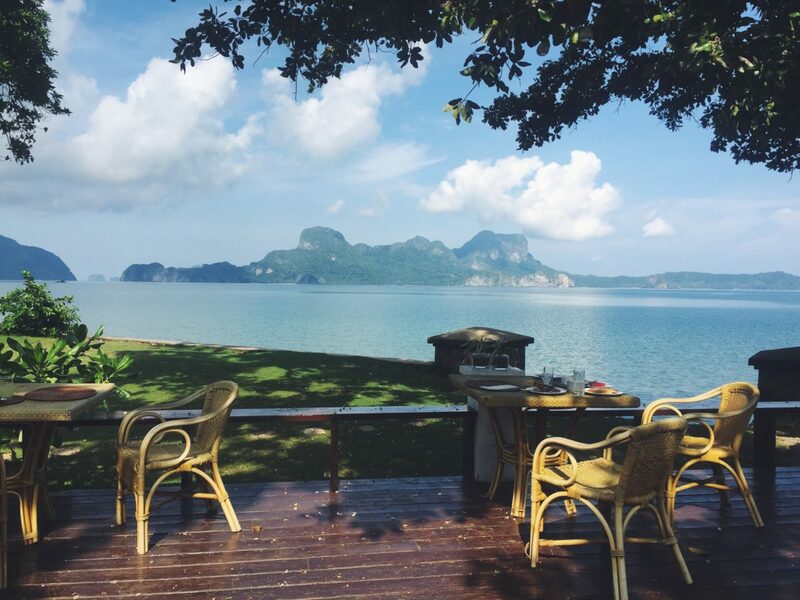 It will take you twenty minutes by tricycle to get to El Nido proper (where most of the evening action is) or ten minutes to Lio Beach (which hosts a spa and a smattering of restaurants). 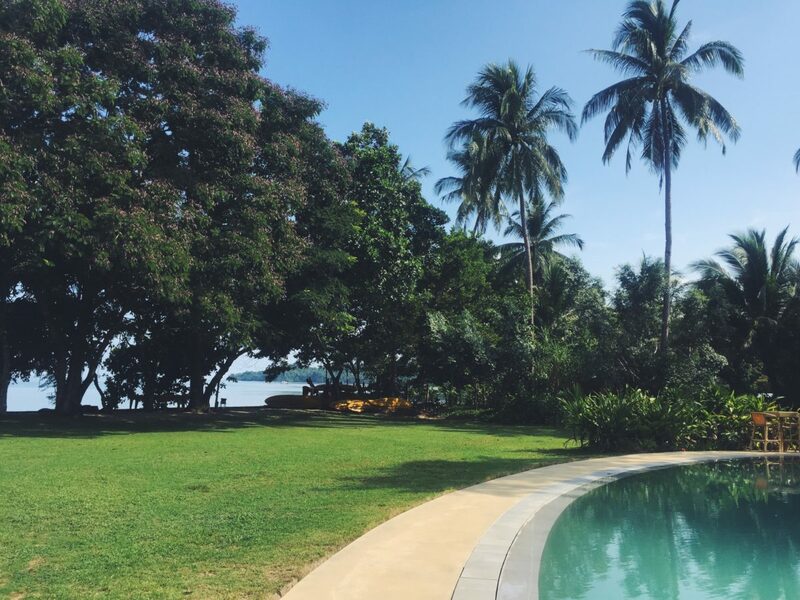 But if you’re looking for poolside-lounging, lapping waves as your background music, and relaxed meals, the onsite facilities will more than suffice. 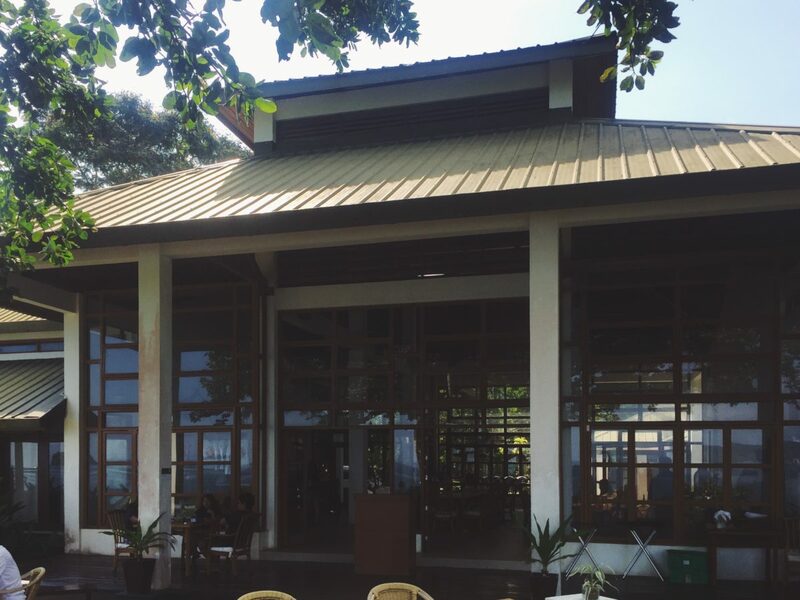 Rooms start at $130 a night in the dry season (November to May). There isn’t one! The resort is made up of just twenty rooms so while you might run into a few honeymooners at sunset or a young family at breakfast, you’ll mostly feel like you have the place to yourself. What should you bring or wear? How do you prepare? Swimsuit, sunscreen and plenty of books (since your laptop will likely be out of commission). Make sure to get an in-room massage (or two)—they are incredibly affordable and entirely blissful. What else should you do around the area? Head into town for an unexpectedly authentic Italian meal at Trattoria Altrove, an intimate restaurant with treehouse-like interiors and a wood-fired oven for pizza-making. Take a day for one of El Nido’s famed island tours. Hundreds of providers will take you along one of four standard routes (A, B, C, D) with stops at hidden lagoons and white sand beaches. Look for a boat with as few people as possible (while you’ll run into crowds at all the stops, it’s nice to travel in a smaller group) and look forward to a feast on deck for lunch. You can book these tours directly by walking into a tour company’s stall in El Nido or ask at the hotel desk for their recommended operator. 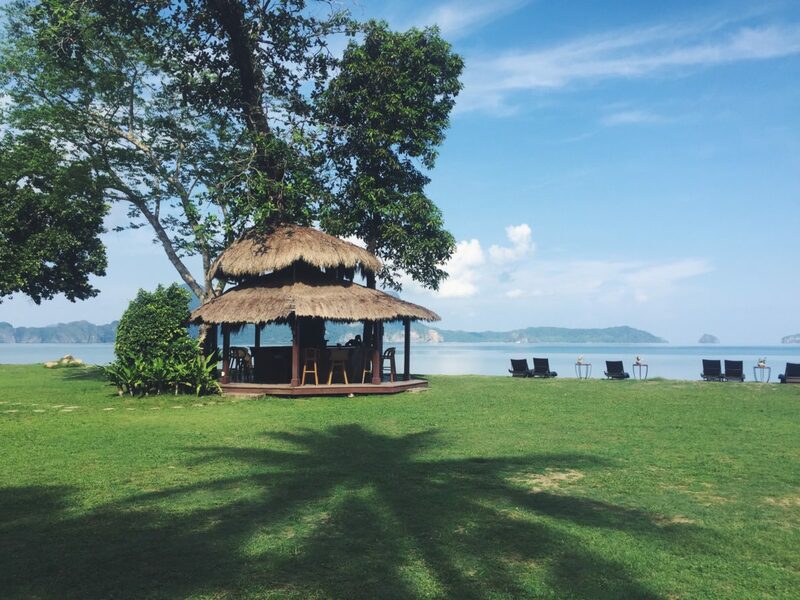 Make the trip (it’s a somewhat bumpy ride) to nearby Nacpan Beach, a wide expanse of soft, white sand, littered with thatched huts serving cold drinks and fresh seafood.